The look and feel of classrooms is changing to accommodate modern learning practices. As researchers discover new insights about the psychology of learning, more teachers are using their findings to tweak design elements and enhance the classroom experience. In the modern classroom, many students spend time working together to find creative solutions to questions and problems a teacher may present. Desk and chair combination desks were often difficult to manipulate for these types of learning exercises. 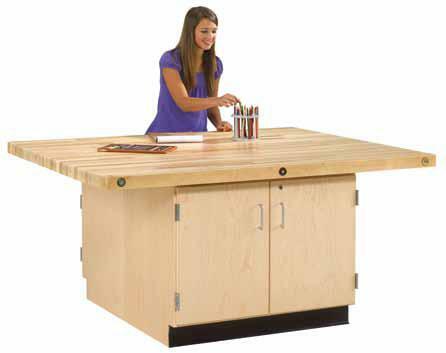 Today, many desks are designed to move easily around the classroom so that the teacher can change the setup as necessary. Moving desks from activity to activity can change the entire experience of a classroom setting as well as the learning dynamics. A makerspace is a hands-on center that provides students with tools needed to explore hands-on concepts. Makerspaces may contain age-appropriate tools such as 3D printers, hardware supplies, electronics supplies, and building supplies. Students can use these classroom centers to explore concepts, apply creative solutions, and discover how theories apply to work in the real world. Makerspaces are only limited by a teacher’s or student’s imagination. Classrooms that are large enough may have flexible spaces that feature larger tables, bookshelves, or other design elements. A teacher can move certain activities into a specific space to remove potential distractions from the learning environment and engage with students in a different way. These areas may even support occasional physical activities that teachers use to keep students focused on the task at hand. Many flex-spaces are casual areas, including beanbags, cubbies, and nooks for personal reading time or individual activity completion. Students often sit for several hours a day, just like adults in the working world. Developing good posture habits and protecting the neck and spine begin in the classroom setting. 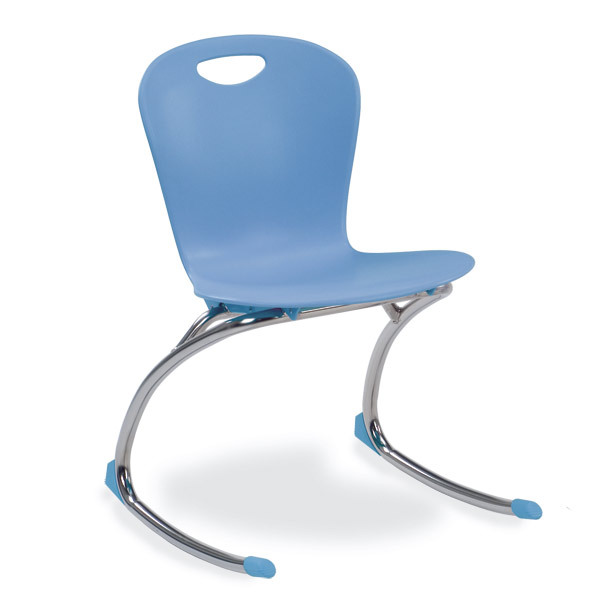 Ergonomic student seating supports student health and positive posture practices as they engage with technological devices or work on schoolwork. Active seating provides an extra range of motion so educators can add an element of fun to the classroom experience. The right lighting improves student focus, mood, and childhood development while reducing the risk of light-related headaches. 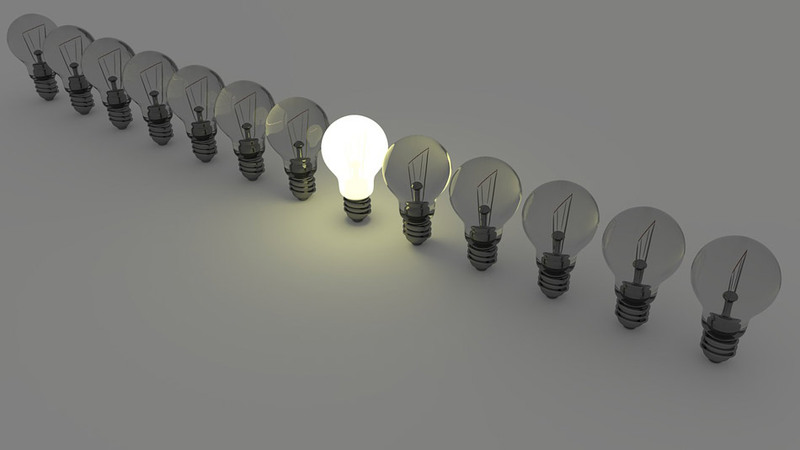 Natural light is the best light for maintaining student health, but many schools are also exploring the benefits of using biologically attuned artificial lighting to maximize the benefits of proper lighting. Strategically placed windows and artificial light sources enhance the overall design of a classroom to encourage student productivity. 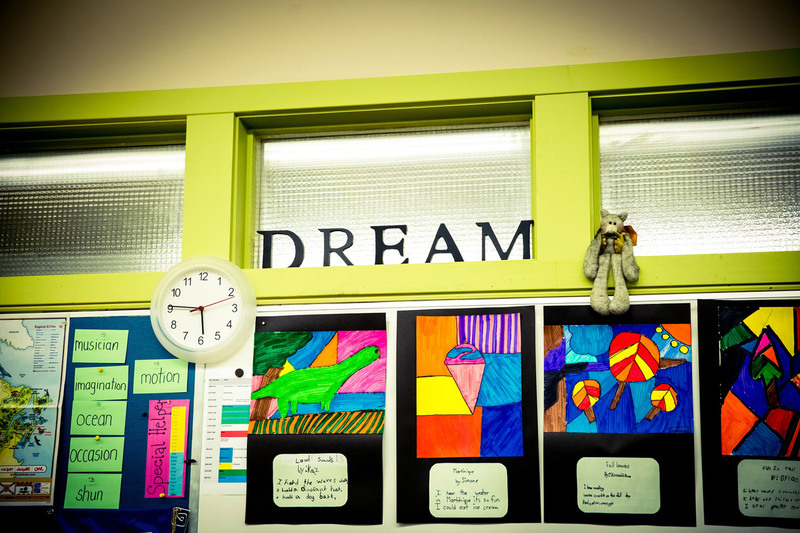 The way teachers use wall space is shifting to better accommodate modern classroom design. When budgets allow, many educational facilities are investing in audiovisual technology that supports the learning process. Advanced projectors, flexible displays, and other interactive features complement traditional classroom elements such as marker boards. These advancements provide teachers with the ability to change classroom décor to match the day’s lesson. Modern educational settings aren’t stark and professional, but warm and inviting. The colors and individual design elements add something new to the classroom experience. Instead of featuring straight edges, many modern solutions feature wave-like curves that create natural division in the classroom and promote flexibility. Schools don’t need big budgets to incorporate design elements that engage students. Simple changes can transform any classroom setting into an engaging environment where students perform well on a regular basis. Simply hanging artwork on the walls, replacing outdated fixtures, or personalizing a classroom space with carpets and fun bulletin board displays can improve academic performance. Start with one design element. 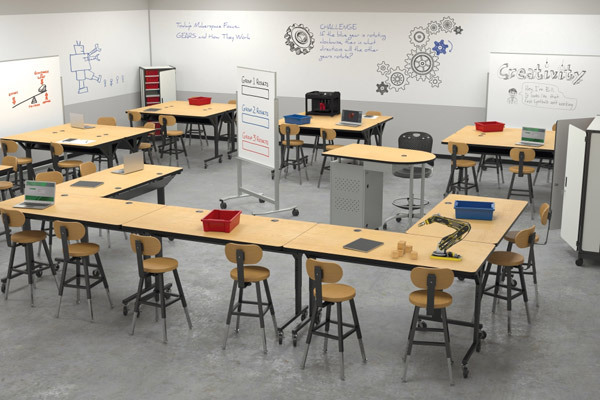 Focus on maximizing a makerspace, investing in supportive seating, or creating a collaborative desk environment. Make small changes as time and budget allow. Something as simple as a charging station may improve student engagement in the classroom. Ask students for feedback. While you may receive some non-serious answers, students often yield surprising insight. From classroom décor to improving seating arrangements, work collaboratively with the student body to create an engaging environment. Embrace the concept of continual change. The world is changing at a rapid rate. New technology and research will continue to drive change in the field of education. Focus on providing students with the atmosphere and tools they need to thrive in an economy based on constant change. Classroom design won’t change student behavior overnight, but it can significantly improve performance when used in new and creative ways. Keep these elements and tips in mind to transform your learning environment into a place that celebrates the educational experience.